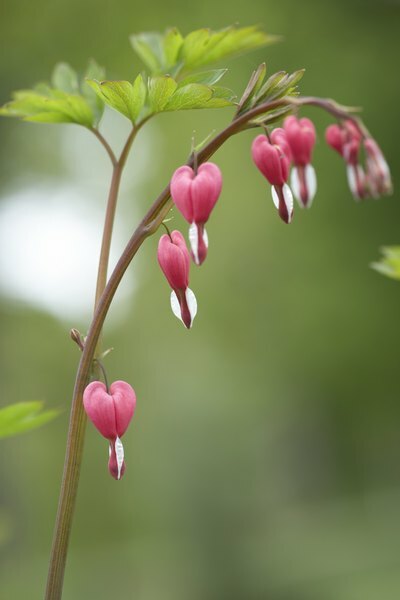 Keep the Bleeding Heart plant away from your pooch. The hanging teardrop hearts on the Bleeding Heart plants are aesthetically pleasing but prove to be an unhealthy snack for dogs and humans. Since these beautiful plants grow indoors and outdoors, you will need to take necessary precautions to protect your pooch in both areas. If you suspect your pooch has gotten into something he wasn't supposed to, keep an eye on him. The specific amount needed to show symptoms varies per dog, but if you have a small dog breed, pay special attention as it doesn't take much to get these guys sick. The American Society for the Prevention of Cruelty to Animals says to watch for tremors, loss of coordination and drooling. Dermatitis can show up as well. If you notice respiratory distress or seizures, don't hesitate; call your vet immediately. Unfortunately, ingesting this plant could potentially be fatal. Call your vet immediately after you suspect plant poisoning. He will be able to properly instruct you on what to do. Most likely he will instruct you to induce vomiting and give you the correct instructions for your specific dog's weight, age and breed. If you cannot reach him, call Pet Poison Control at (888) 426-4435. They usually charge you a fee for a consultation, but your dog's well-being is well worth it. The Bleeding Heart plant (Dicentra formosa) has substances called alkaloids in it, as well as a convulsant called isoquinoline. These substances are to blame for the negative physical side effects that animals, including dogs, experience after gobbling some down. The foliage and the roots are the dangerous parts of the plant. To keep your dog safe, keep this kind of plant out of your home and garden. If you do decide you must have it around, keep it out of reach by placing it high up on a sturdy surface away from the dog or put a sturdy fence around the garden.